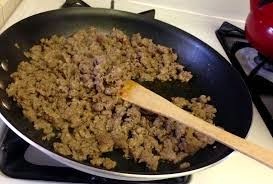 Brown and crumble ground turkey in a frying pan sprayed with olive oil. Stir in tomato sauce and jar of cowboy caviar. Heat through. 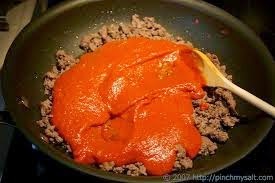 Serve in bowls as a spicy main dish, in buns as delicious sloppy joes or in your favorite nacho recipe perhaps topped with a cheese sauce. If you like it more saucy just add more tomato sauce. Buen apetito! 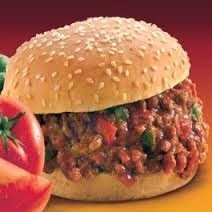 It's been a long time since I've heard "sloppy joes." I'm from Iowa, but we're military so we're living in Washington state right now (previously Georgia and South Carolina). I once mentioned sloppy joes and got looked at like I was crazy. I'll have to think about stopping by our local Trader Joes. Umm...I have to ask, though. 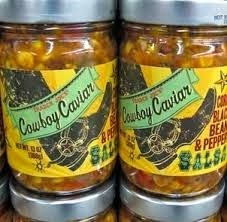 Why is it called Cowboy Caviar? p.s. Found you via the Pretty Pintastic Party on "Recipes for Our Daily Bread". This sounds so good! 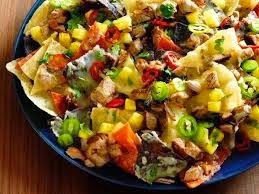 I love Salsa recipes. I'm going to have to try this. I think on sandwiches and tostitos. Thanks! From Pretty Pintastic Party.